Sadie Barnette brings a joyful reprieve to issues of race, identity, and gentrification at the 25th edition of The Armory Show. 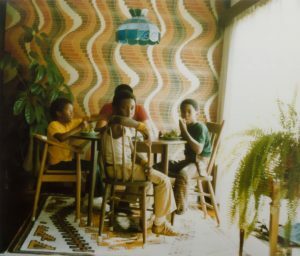 Three boys sit at the dining room table with a man at meal time, eating their food as the camera captures the image. In the photo, vibrant psychedelic wallpaper with wavy earth-toned stripes and a blue glass lamp hangs above, clear indicators that it was taken in the early ‘70s. The moment, clearly intimate, captures family time. 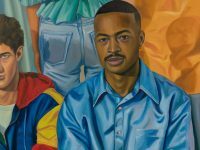 The man in the large-scale photo, which is currently on view at The Armory Show at Los Angeles gallery Charlie James Gallery’s booth, is of artist Sadie Barnette’s father. Smaller black-and-white images depict depict birthdays, loving kisses, children at play—and a portrait of a man in a black leather jacket and beret. 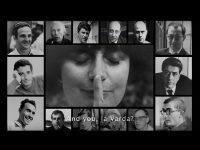 What the viewer can’t tell aside from small clues, is that her father, Rodney Barnette, was a staunch political activist who started the Compton chapter of the Black Panthers who worked with Angela Davis on the National Committee to Free Angela Davis. The images in the installation, which won The Armory Show Presents Booth Prize, are accompanied by a series of sculptures and artworks. 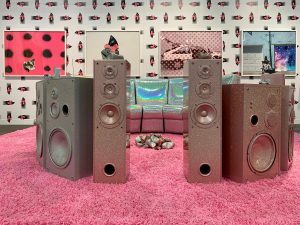 Sparkly, iridescent chairs are placed on a pink carpet, surrounded by speakers and aluminium cans coated in pink and silver glitter, adding a magical, festive mood to the installation. Installation view of Sadie Barnette at The Armory 2019. Photographed by Bryan Chagolla. “The point,” said Barnette, “just thinking about how many thousands of people were involved in the history books whose names we might not know who are part of our family histories and legacy, so a lot of this glitter work, or outer space moments in these pieces are thinking moments for celebration, survival, and a reprieve from all the more earthly problems and imagining these spaces that are beyond the lens of state surveillance, beyond police brutality, or gentrification, etcetera. The back wall is covered in wallpaper with a print featuring a carved wooden hair pick that Barnette picked up in South Africa. She decorated it with a bright pink bow. “I just tied a bow around it to look at this contrast of the old with the young and the dark with the light, the masculine with the feminine, but also thinking about a less binary way of thinking about—to me this pink is more like a high fem vernacular, performative gesture that can extend to a broader range of genders,” explained Barnette. 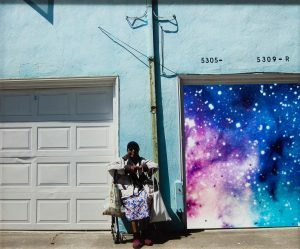 Over in the corner, a photograph of a woman sitting on her walker next to a space print invites viewers to contemplate her identity. Barnette came upon the woman in Oakland, California, on Martin Luther King Jr. Day on a street named Martin Luther King Jr. Way. Left: Sadie Barnette, Untitled (Oakland lady, space), 2019. Right: Sadie Barnette, Untitled (Winfield St), 2018.